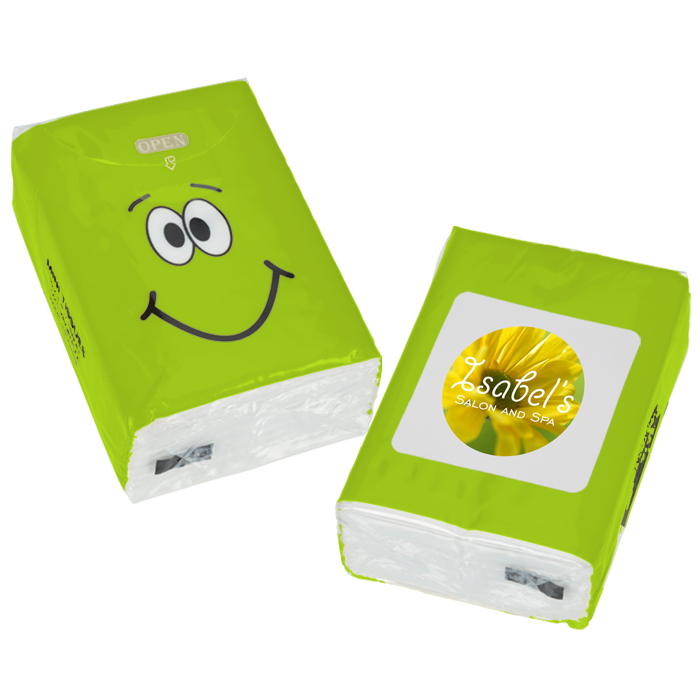 Personalize this goofy tissue pack with your brand! 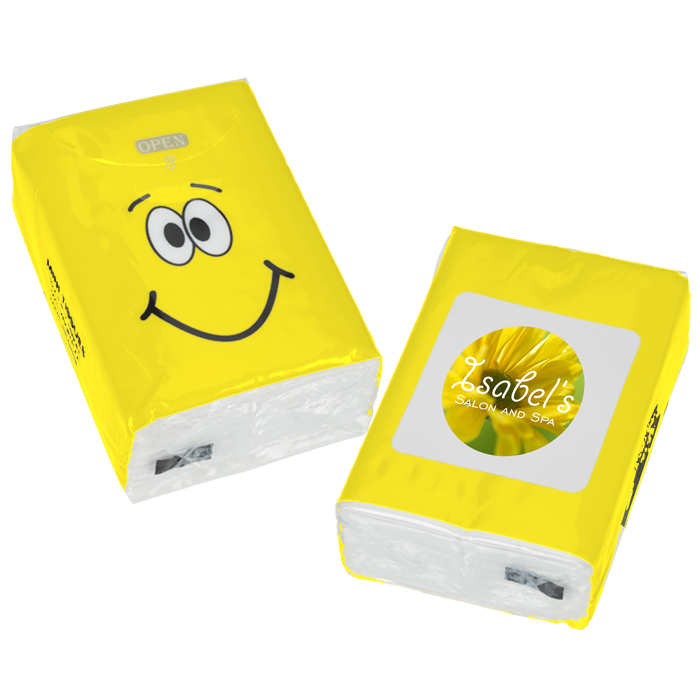 Get ready for allergy and cold season with these custom tissue packs. Everyone could use a handy mini pack of tissues in their pocket or purse. 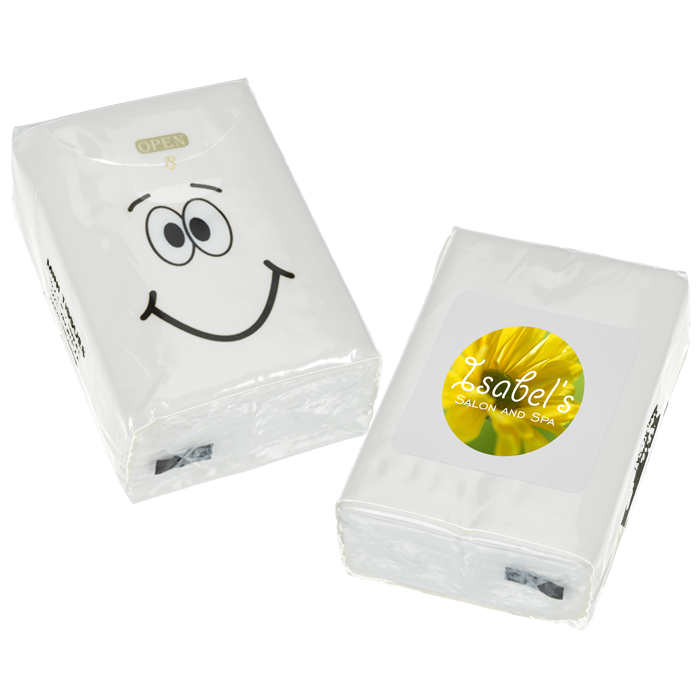 When they want to remove makeup or feel a sniffle coming on, they’ll find these tissue packs especially helpful. These tissue packs are filled with 10 soft 3-ply tissues and are compact for easy portability. Easy-open design allows you to grab one tissue at a time without making a mess and reseals easily. 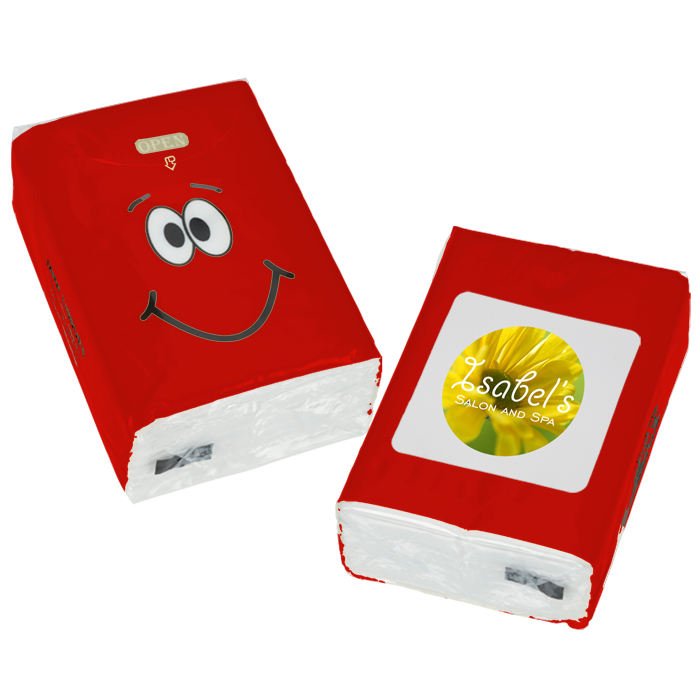 Designed with a fun, goofy face to help them smile even when they aren’t feeling their best. These custom goofy tissue packs are perfect for elementary schools, pediatrician offices and much more! Size: 3" x 2-1/8" x 7/8". Your price includes a full color imprint on label on back of wrapper. * Excludes art preparation time, applies only to orders of 2500 items or fewer.